On the hunt for holiday gifts, a gift for men or a new home gift? 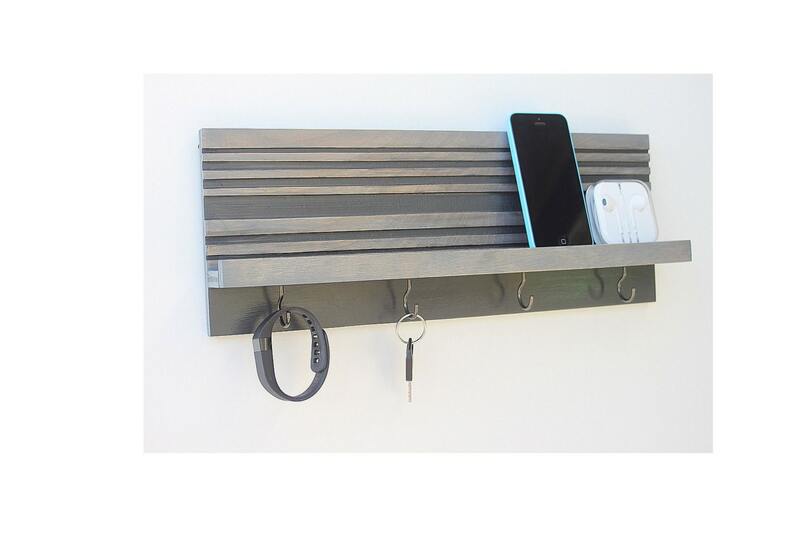 Our Fade-to-Gray key rack makes a great present for family members, friends, bosses, co-workers, neighbors - just about anyone! • Color: Weathered gray wood stain with insets painted charcoal gray and silver key hooks. Item is finished with a modern matte clear coat. • Number of Hooks: Choose between our 4 and 7 hook option (see dropdown box). • Easy to install using two sturdy keyhole hangers mounted on the back and as a courtesy, wall anchors and screws are provided. 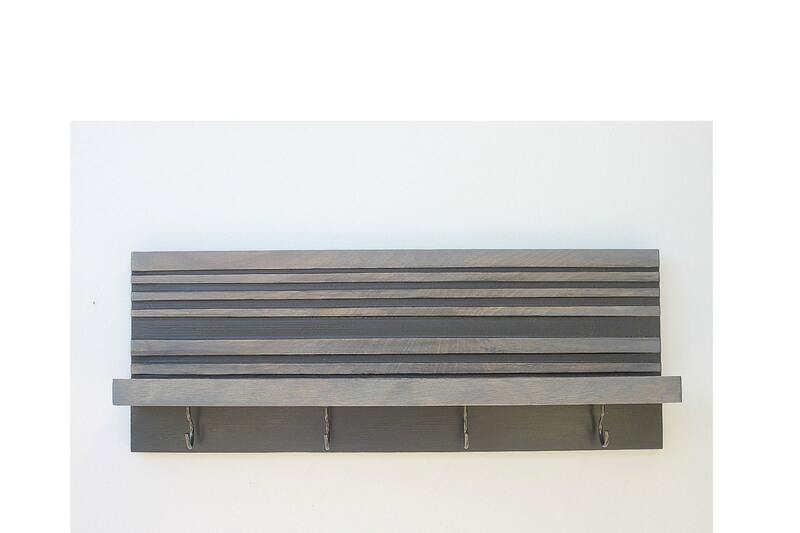 • Made of wood artfully hand tooled in a pattern of inset horizontal lines, our key rack features four metal key hooks and a sturdy shelf for added functionality. **Please be advised that wood grains vary from product to product. 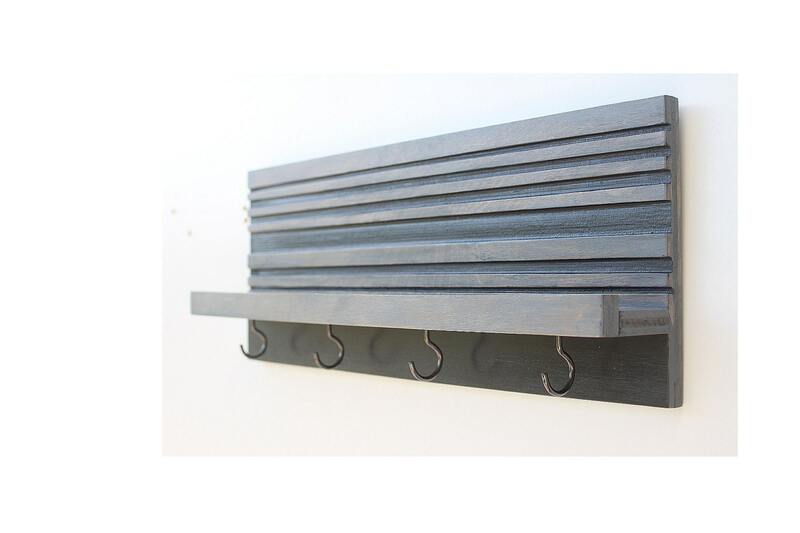 • Your entryway key rack ships via USPS in 5-7 business days following receipt of payment. • Custom orders ship 7-10 business days following receipt of payment. • Custom orders are final sale. Are you forever losing your keys, smartphone or Fitbit? Or, maybe your spouse and kids are affected by this oh-so-common affliction. 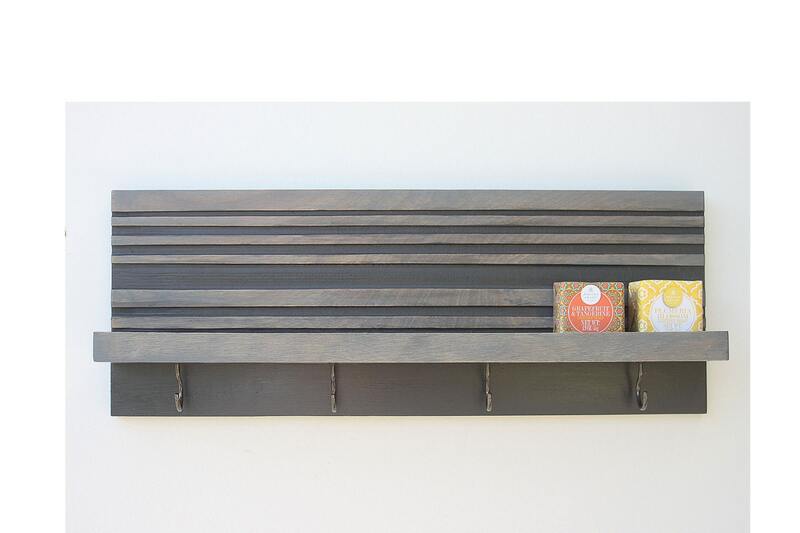 Keep everyone organized with this modern wall organizer from WoodButcher Designs. 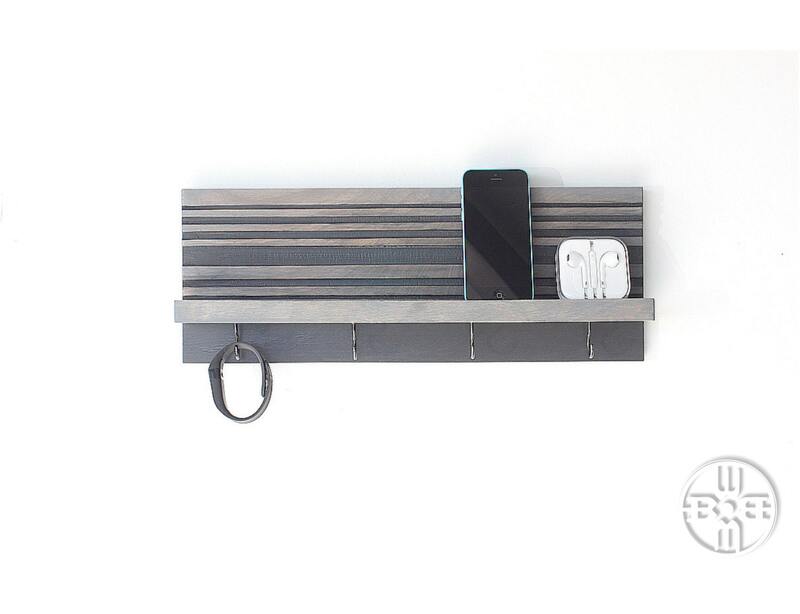 Our modern entryway wall storage product features a 2-inch deep shelf for storing phones, outgoing mail, or other items necessary to your daily life. This hand tooled item also works great as a jewelry rack for hanging necklaces and storing/displaying perfumes, watches or other small objects.